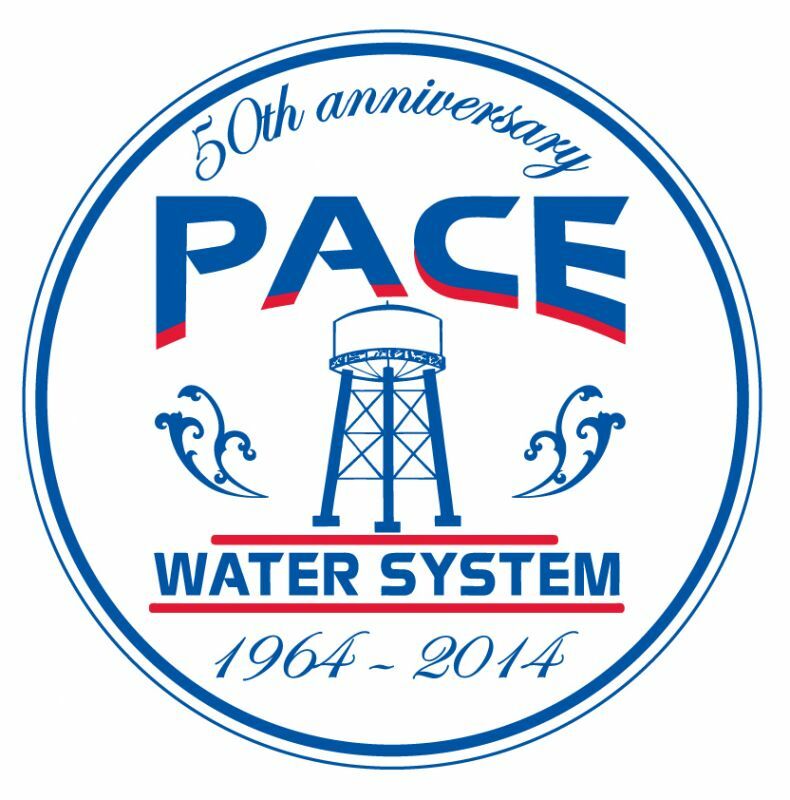 About Us | Pace Water System, Inc.
Pace Water System, Inc. is a member owned, not-for-profit corporation that was formed and began operations in 1964. The Board of Directors governs policies and procedures for operation of the utility. This Board consists of six members who are elected from three districts within the water system. Each district elects two Board members who serve for 2-year terms. The Board members from each district are elected on alternating terms. Thus, each district has one new Board member and one remaining Board member each year. The Board conducts the business of the corporation bylaws, which may be changed annually at a meeting by the members. The bylaws were last modified in 1993. Click here for a copy of Pace Water System's Original Articles of Incorporation and Bylaws. Click here for a copy of Pace Water System's Amended Articles of Incorporation and Bylaws. Click here for a copy of the Articles of Incorporation and Bylaws for Pace Property Finance Authority. Since the initial water system was constructed, the system has grown to include about 15,000 customer connections. The system currently has eleven water wells along with seven elevated storage tanks. 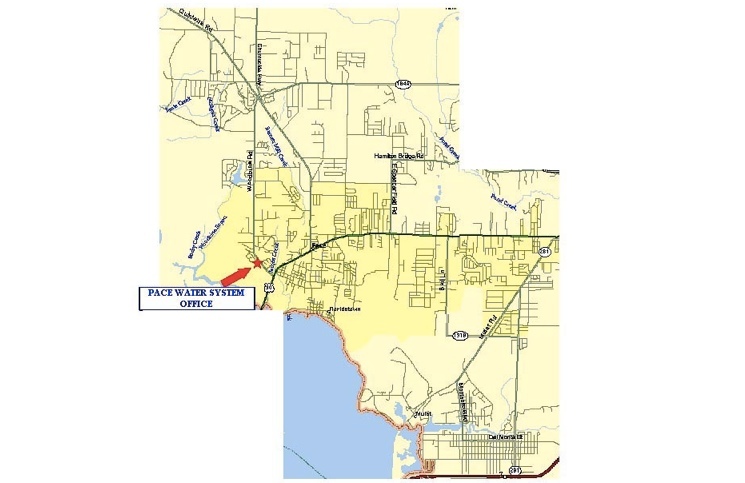 Pace Water System pumps its water supply from the sand and gravel aquifer with 11 deep well pumps. The wells produce from 500 gallons per minute (gpm) to over 2500 gpm each. In 2016, the average monthly total was 90 million gallons. We treat our water with lime for ph control and then chlorinate it for disinfection. We have 7 elevated tanks for storage ranging in size from 350 thousand gallons to 1 million gallon capacity. We have over 600 miles of pipe lines and have over 15,000 water meters. 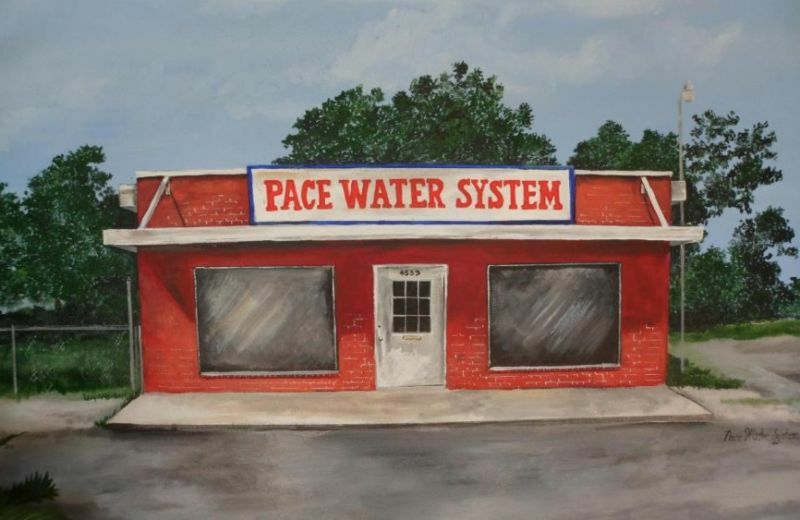 Did you know that Pace Water System was not always located on 4401 Woodbine Road? Before resting at the Woodbine location, Pace Water was on Chumuckla Highway. The board room was 1/3 the size of the office at Woodbine, there was just one office manager, two clerks, two servicemen and 9 Board Members. 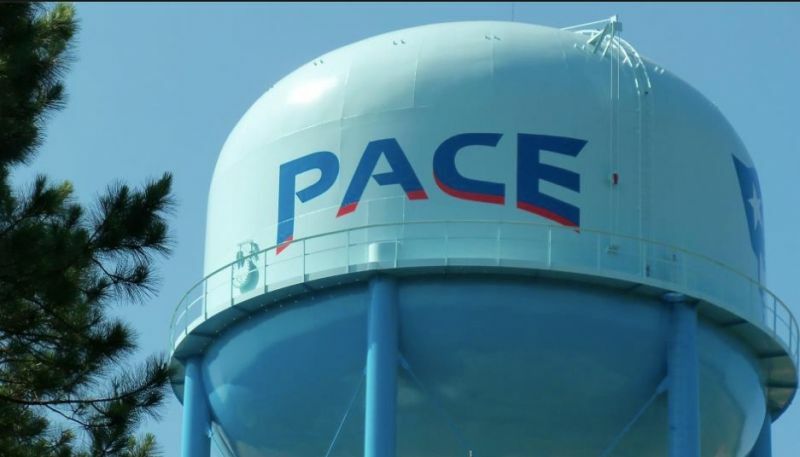 Around 1979, Pace Water System consisted of about 3,000 customers. The biggest difference between locations was the size. Stemming from the lack of space at the Chumuckla Highway office, Pace Water built and moved over to their current location on Woodbine Road in November 1993. 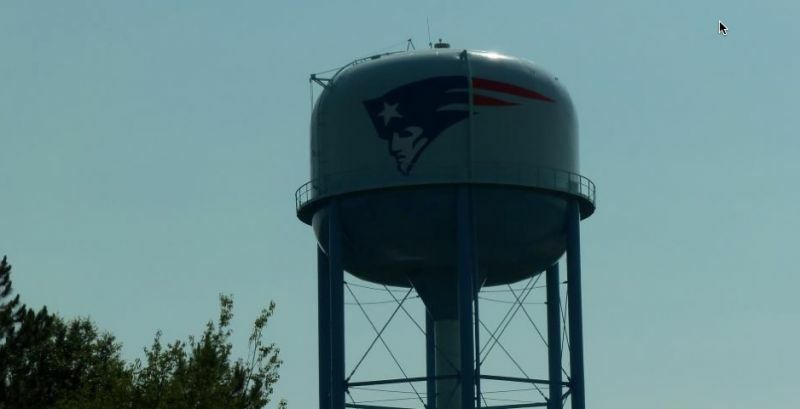 Pace Water System has been blessed with great employees that have strived to provide the best quality drinking water and service to each of its customers.